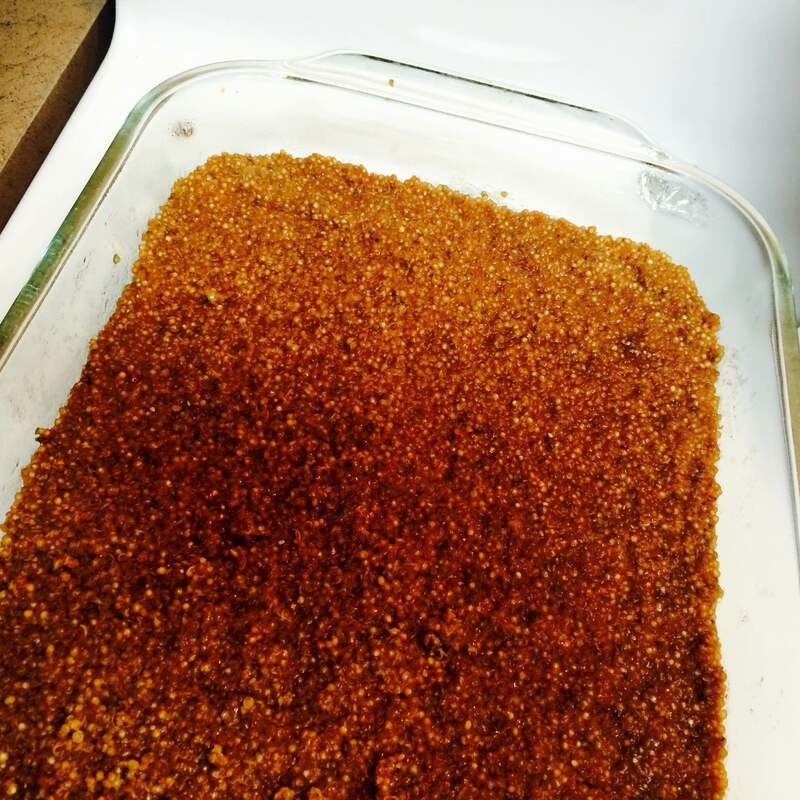 Alyssa’s version of PUFFED QUINOA SQUARES! This is an amazing recipe to satisfy just about any sweet tooth. While quinoa is cooking melt coconut oil, honey, coconut sugar and nut butter on low-medium heat. Once everything is combined add in your protein powder of choice, chia seeds, cacoa and vanilla extract. Remove from stove and stir in your cooked quinoa until all combined. 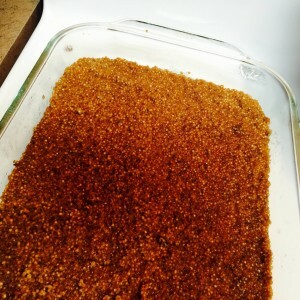 Spread quinoa mixture over parchment paper. Place in freezer overnight. 8 grams of protein & 5 grams of fiber per 1 cup cooked quinoa; much higher in both fiber and protein than majority of grains. Loaded with fiber, protein and Omega-3 fatty acids. Rich in antioxidants and minerals with various health benefits.